and I have created a layout to meet today's challenge. The challenge is "what is your poison"? - Favorite cartridge and favorite color. 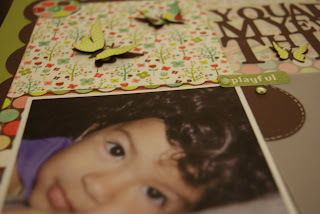 If you follow or visit my blog, you probably know that my favorite color is green... and even though I do not have just one favorite Cricut cartridge, Kate's ABC's is what I have been using often to create my titles, plus I do think everything in this cart is just too cute. I used Kate's ABC's to created my Subway lettering?/Title. 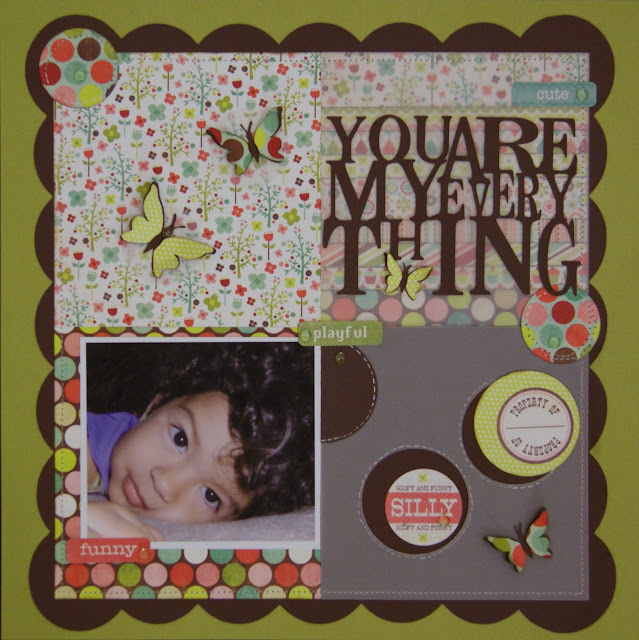 I was inspired by a file Kerry Bradford created using a different format other than the Cricut. Using my Gypsy I was able to weld all the letters with the butterfly while changing the height and width of every single letter (letters/title and butterfly are all one piece). 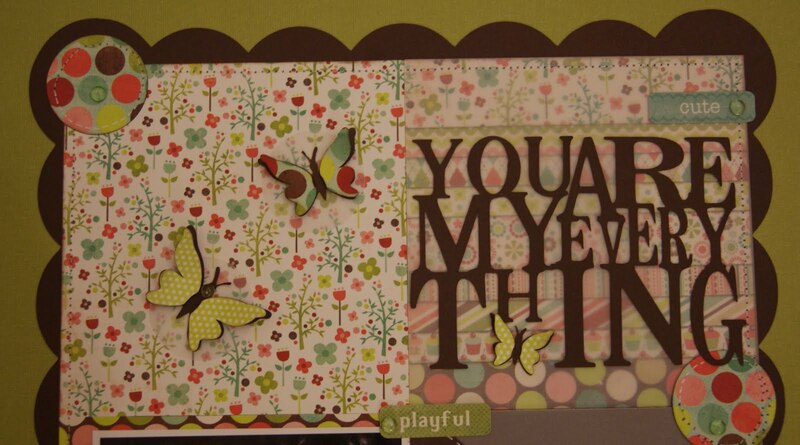 I also cut additional butterflies from the same cart and used around my layout. Instead of adhering the butterfly's layers/wings with regular adhesive, I used 3D foam. I used My Mind's Eye Lime Twist 6"x6" inch paper pad. I cut the outer frame using Cricut Accent Essentials. Additional items: Vellum, dew drops and I do not know if you can tell, but under the title is the cover of the paper pad (yeap! ), I place vellum on top to tone down all the bright colors so that my title will show up better. 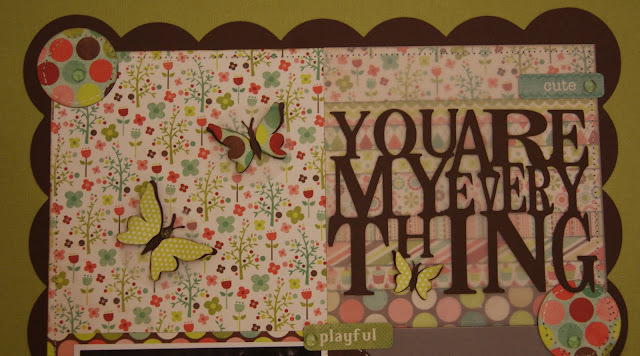 Additionally, I cut vellum circles and placed under the butterflies on the left upper part so that they would show up better being placed on top of the busy pattern paper!... clever! don't you think? 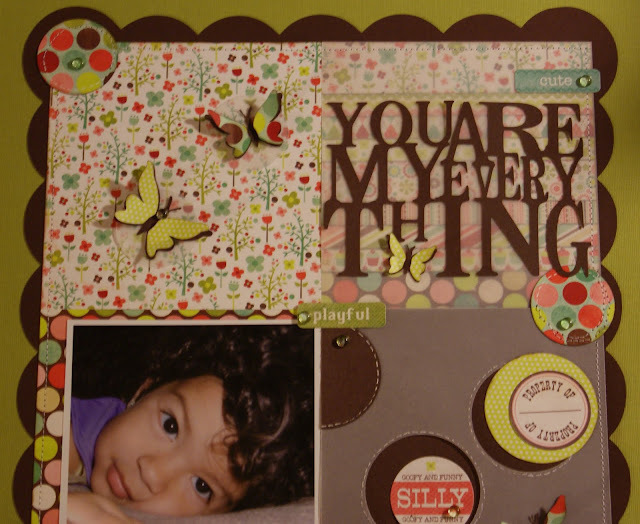 We hope you can come over to CWC and join us on this week's challenge! Reminder: Any comment during the month of June on any of my June's post will qualify you to enter the Scrap'n Easel giveaway! !